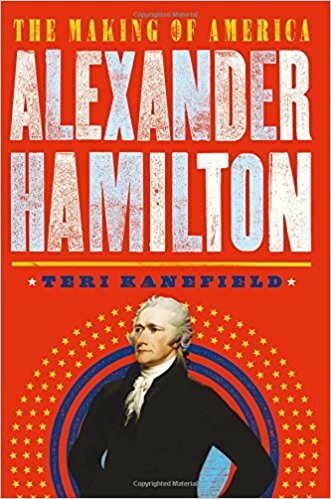 Alexander Hamilton is much in the news lately, particularly with the Broadway play in such demand, and the current political atmosphere. 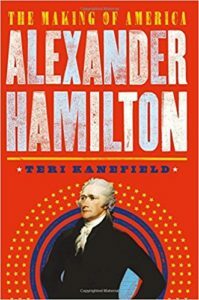 This young adult biography is approximately 200 pages and includes a birth-to-death account of the life of this extraordinary founding father. It covers many important topics, such as mercantilism, checks and balances, tariffs, and, of course, the Federalist papers and the Constitution. It’s filled with drawings, paintings and portraits, as well as clearly labeled title pages with Alexander Hamilton quotes beneath. Visually appealing, well-paced, and simplistic enough to hold the interest of young readers, it is also a pleasant recap for adults.